we offer you true peace-of-mind purchasing, with our 100% Satisfaction Guarantee. 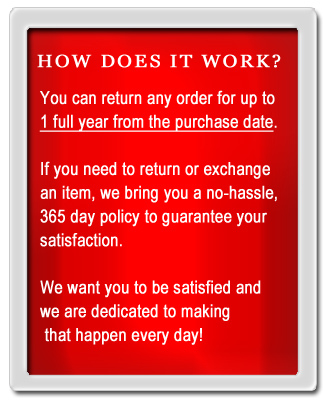 With Thermal Paper Direct’s 365 day return policy, there are no special catches or exceptions. All we ask is that you send the items back to us in the original packaging, and make sure that the merchandise is in the same condition. Products must be in the condition you received them and in the original packaging. Once your return is received and inspected your refund or credit will be processed.